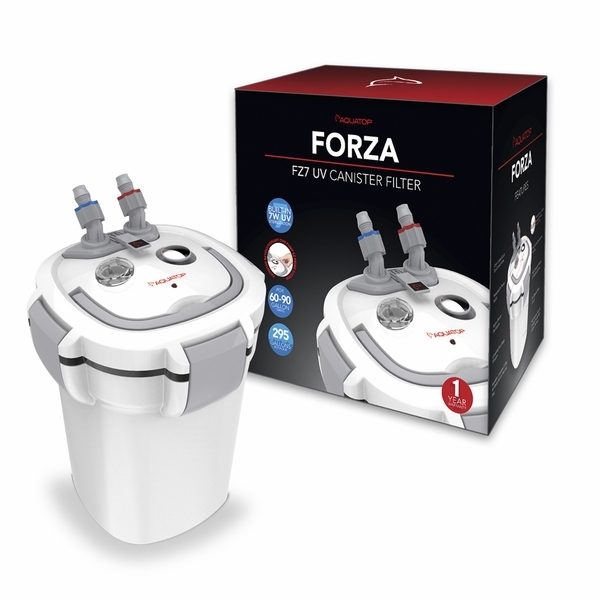 All three models of the Forza canister filter include an integrated replaceable carbon cartridge which is easily placed directly in the media tray, so it’s no longer necessary to poor carbon into a tray or handle messy bags full of carbon. 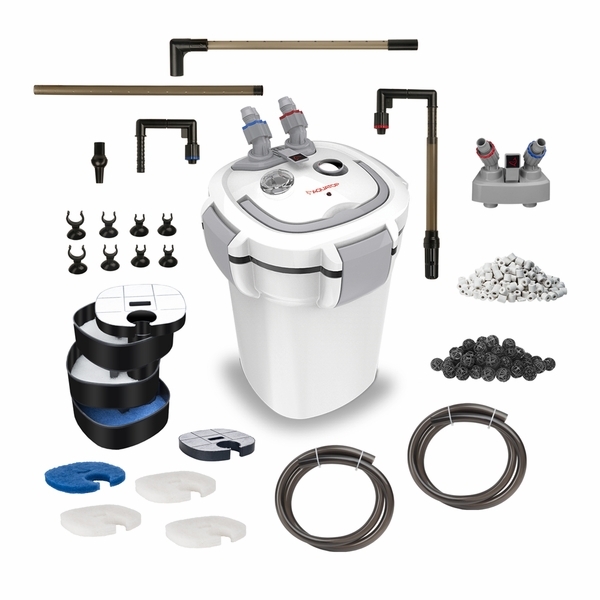 The Forza Canister Filter Series incorporates a number of impressive features such as an optional surface skimmer on the intake, a handle for easy lifting of the barrelhead, a protective cover for the UV switch and a quick disconnect valve which is color coded, red for the inlet and blue for the outlet. 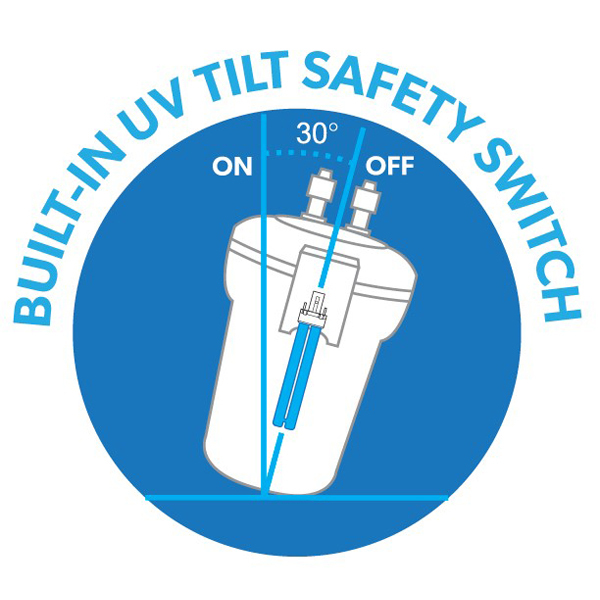 As an added innovative safety feature, should the canister move 30 degrees in any direction, the UV will automatically shut off and protect your system. Welcome to the new age of UV filtration!